The Sustainable Landscape Partnership (SLP) is a Global Development Alliance between USAID and the Walton Family Foundation. The $20 million partnership works with the Government of Indonesia to support sustainable business models that reduce or eliminate deforestation and associated CO2 emissions in the prioritized landscapes in two districts in North Sumatra. The rate of deforestation in Indonesia is accelerating faster than anywhere else on Earth — much of it to make room to grow commodities like rubber, palm sugar, palm oil, coffee and cocoa. Deforestation is further exacerbated by the limited options for sustainable livelihoods in local communities, where people turn to the forest in times of need or where alternative income-generating opportunities do not exist. The Sustainable Landscapes Partnership (SLP) aims to promote Healthy Sustainable Societies that is underpinned by the conservation of reservoirs of natural capital, effective governance and sustainable production systems. SLP is a public-private partnership between the United States Agency for International Development (USAID), Walton Family Foundation (WFF) and Conservation International (CI). SLP is a unique, innovative partnership that addresses increasing food, water and energy security risks to economic development and human welfare, as well as related challenges of climate change and ecosystem fragmentation at a landscapes level. SLP aims to invest in low-carbon development activities and business models that seek to reduce or eliminate deforestation while promoting economic growth, demonstrating that development does not have to occur at the expense of environment. The Walton Family Foundation continues a philanthropic vision begun by Walmart founders Sam and Helen Walton. Across diverse areas of giving that include education reform, freshwater and marine conservation and community and economic development, Walton family members carry forward the timeless Walton value of creating opportunity so that individuals and communities can live better in today’s world. While there are unmistakable similarities when it comes to Walmart founders and a vision of a better life for individuals and communities, the Walton Family Foundation exists independently of the Walmart Foundation, the philanthropic arm of Walmart. Each of these foundations operates with separate sources of funding and governance. 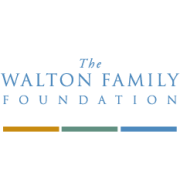 For nearly three decades, the Walton Family Foundation has continued the philanthropic vision begun by Sam and Helen Walton. They had an unshakable belief in the power of individuals to transform their lives. Today the Walton family – Sam and Helen’s children and grandchildren – lead the foundation with a focus on awarding grants that drive not just incremental, but transformative, change. They are working to improve K-12 outcomes for all students, especially those of limited means, by ensuring access to high-quality educational options that prepare them for a lifetime of opportunity. Sam and Helen Walton instilled in their family a love of the outdoors and a belief that a healthy environment drives a strong economy. By creating long-term solutions for protecting rivers, oceans and coasts, local communities and economies will benefit for generations to come. They are focused on giving back to the area that the Walton family calls home – working to create and sustain long-term economic opportunities in the Arkansas communities that first gave Sam and Helen Walton opportunity. 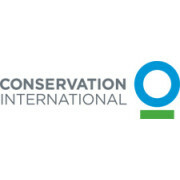 Conservation International knows that human beings are totally dependent on nature — and that by saving nature, we’re saving ourselves. To that end, CI is helping to build a healthier, more prosperous and more productive planet. Nature doesn’t need people. People need nature. The food, water, health, jobs — they all rely on the health of the planet’s ecosystems. But people are taking more from nature than nature can give. People are weakening the Earth’s ability to provide the clean air, fresh water and food people depend on. In short, people creating a crisis. Conservation International can end this crisis. But they need big ideas and even bigger solutions. Conservation International works at every level, from remote villages to the offices of presidents and CEOs, to find these solutions. The work is moving entire societies toward a healthier, more sustainable development path — so that they don’t use up today what they are going to need tomorrow. The most fundamental aspect of the approach is to protect the places that they cannot afford to lose — the spectacular but vulnerable places on land and at sea that are especially important to humanity, the places that provide food, water and the air that people breathe. The ability to protect natural wealth can only occur in places where there is a political commitment to do so, where policies support such actions and capacity exists to carry them out. They work with governments to ensure that they have the knowledge and tools to enact policies that are good for their people, now and for generations to come. Finally, and in tandem with the first two elements, forward-thinking policies and practices must be in place to promote sustainable production practices. They work with companies — including those with a big impact in sectors like mining, energy and agriculture — to help make sure that industry doesn’t undercut nature’s ability to support us. At CI, they measure success in human terms. The ultimate goal is to protect the most fundamental things that nature provides to all of us: food, fresh water, livelihoods and a stable climate. Building upon a strong foundation of science, partnership and field demonstration, CI empowers societies to responsibly and sustainably care for nature, global biodiversity, for the well-being of humanity. They imagine a healthy, prosperous world in which societies are forever committed to caring for and valuing nature, for the long-term benefit of people and all life on Earth.